Author: Burgess, Melvin Set In . . .
Victorian London in the 1850's: Jamie, Ten Tons and Davies are young "mudlarks"--scavengers who eke out a meager existence by reclaiming bits of coal, rope, and anything of value from the muddy banks of the River Thames. Anything they find might keep them from starving for one more day. 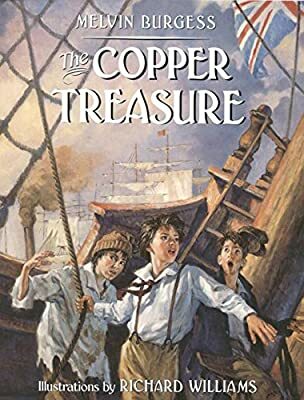 When they see a massive roll of copper fall off a ship, the trio comes up with a daring plan to retrieve it and make their fortunes. But can three small boys alone retrieve the impossibly heavy copper from the bottom of the Thames? They resolve to find a way--or die trying.